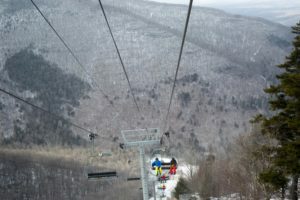 We’ve been bringing snow enthusiasts together to enjoy the mountains of New York, New England, and beyond, replacing single-car drivers on the road for decades. 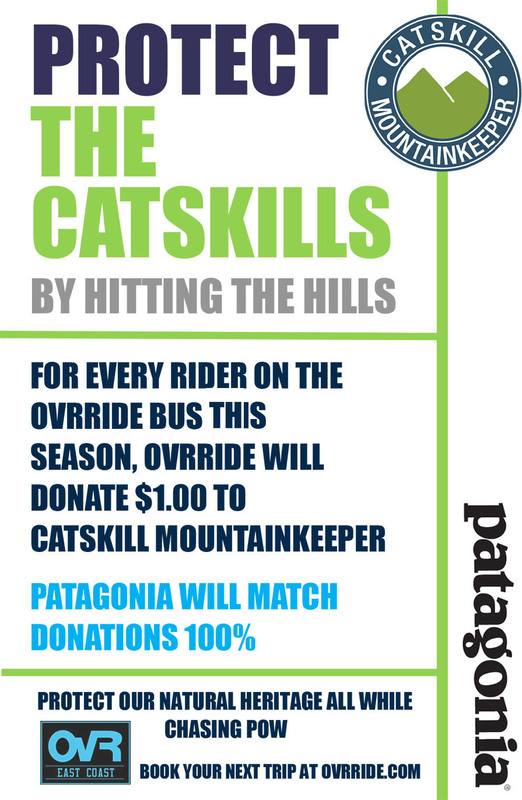 We’re partnering with Patagonia again this year, so that every rider and skier on the OvR Snow Bus can help support our tradition of environmental awareness. In recent years, Catskill Mountainkeeper has worked to protect the Catskill region’s pristine wild areas from threats ranging from fracking, to outsized development projects, to the invasion of dirty and dangerous fossil fuel infrastructure. For every seat filled on the OvRride bus this 2016/17 season, we pledge to donate $1 to this important New York non-profit. In turn, Patagonia will match that donation 100%. For Patagonia, a love of wild and beautiful places demands participation in the fight to save them. We need to act to help reverse the steep decline in the overall environmental health of our planet. Patagonia donates time, services and at least 1% of sales to hundreds of grassroots environmental groups all over the world who work to help reverse the tide. Help raise awareness of this partnership with a contest on Instagram! You could win a free day trip to Hunter or Windham! Show us your love of the Catskills! Get a photo of the Catskills, of something that reminds you of the Catskills or any media in support of the cause and post it to your Instagram. Use the hashtag #OvRrideForAreason – and help spread the word to support the Catskills! Tag @OvRRide and @PatagoniaNYC in your image and every week we will pick a winner for a free seat on a Patagonia sponsored OvR Snow Bus up to the mountains, along with free Patagonia Snow gear. Keep them coming! We want to spread and share our love of the Catskills as far and as wide as we can carry the message! Here’s the list of trips to the Catskills you can win by sharing your love of the Catskills with us! Remember, you don’t have to win to join us. Everyone that joins us on the Patagonia bus will walk off with something awesome from Patagonia, an additional opportunity to win some dope gear and a contribution toward a great cause! More dates for Patagonia Trips and events coming soon! Stay informed and drop by your local Patagonia location whenever you can to keep in the loop on all their doing on the mountain and in the community! 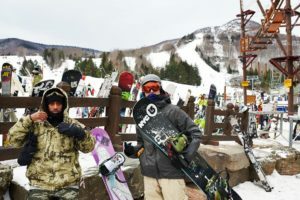 This entry was posted in Events, Featured, Hunter, Patagonia, windham. Bookmark the permalink.